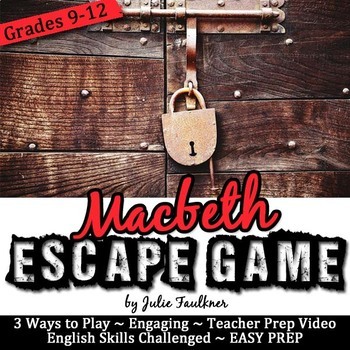 Get ready to dive into an exciting escape-room style adventure with this break-out game designed to follow a reading of Shakespeare's The Tragedy of Macbeth with secondary students! 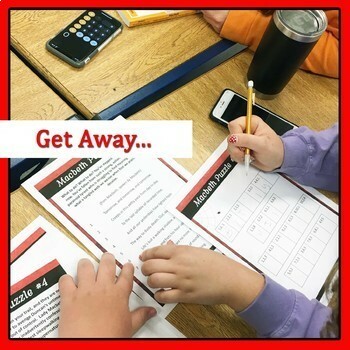 From the most reluctant learner to the most advanced, all of your students will be 100% engaged in solving the clues in this interactive lock box game for reviewing drama. Plus, you'll be on the cutting edge with this educational teaching trend that will be exciting and purposeful in classrooms for years to come! 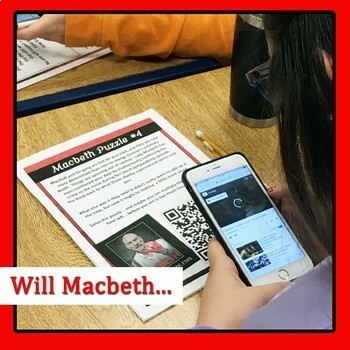 In this escape game with a flexible three-ways-to-play format, students will take on the role of Macbeth himself in order to get away with murder before Macduff and his crew catch him. The students will have to be on their toes in the entire time because those tricky weird sisters never tell it straight! Foul is fair and fair is foul when you are racing against the clock to cover up your crimes. Oh, Macbeth, what will you do? 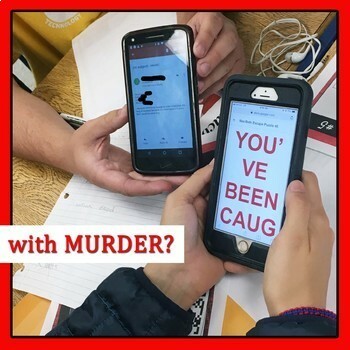 Your students will love the exciting, modern game-like format. You will love that your students are actually enjoying reviewing the elements of fiction. Your admin will love to see that you're engaging all learners with higher order critical thinking and problem solving. My students were bubbling with excitement and energy the entire period! Are you ready to UNLOCK THE FUN?!?! *Some assembly and set required for some clues.